Veterans will be given preference. Some units will be low-moderate income, others will be at market rate. 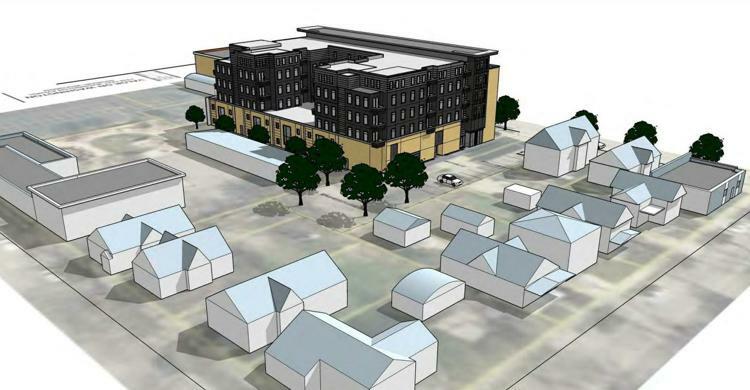 “Today Gorman and Company informed TLNA and Alder Zellers that they have been approved for the WHEDA tax credits that they were seeking for the Valor project on the Messner site at 1326 E. Washington (site includes 1314 and 1318 E. Washington). They had earlier received commitments from both the City and County for allocations from their respective affordable housing funds, so their financing package is complete. “The six-story affordable housing project at 1314-1326 E. Washington Ave. for veterans and their families sits on the former Messner building site. This entry was posted in Clarence Kailin Chapter 25 on April 7, 2019 by Brad Geyer.